It is difficult to overstate the significance of the three points which Burnley gained in their victory at the AMEX Stadium against Brighton yesterday tea-time. Due to Cardiff scoring their stoppage-time winner at Southampton, Burnley began the game in the bottom three and defeat would have meant that they remained there throughout a two-week stretch between matches. As it is, the win ensured that the Clarets were able to merrily leapfrog over Cardiff, Southampton and Newcastle and into fifteenth place, level on points with both Crystal Palace and the vanquished Brighton. Yesterday’s was probably Burnley’s best display of the season away from Turf Moor; all the elements of the Clarets’ game operated well; they defended strongly, with Tom Heaton setting the tone in Burnley’s goal with a series of fine saves; the midfield were feisty in the tackle and incisive with their passing; and the two strikers, Ashley Barnes and Chris Wood, combined with ruthless efficiency in attack. Inspired perhaps by Burnley’s all-black change strip, New Zealander Wood scored twice. Benefiting from a clever through ball by Barnes which found Wood in space following a slip on the rain-sodden surface by Lewis Dunk, Wood then thumped the ball past Matt Ryan to put Burnley one nil up. Despite Brighton possession and pressure, Burnley kept the home team at bay for the rest of the first half. Often with a well-timed tackle or interception, but also at times requiring Heaton’s athleticism and on one occasion, Jeff Hendrick being on hand to clear the ball from off his goal line. But as the game progressed into the second half, Brighton increasingly lost their sting as mounting desperation and Burnley’s competitiveness caused the home team to lose their rhythm. After an hours’ play, the increasingly assured Dwight McNeil surged through the middle of the Brighton defence to the edge of their penalty area, before slipping a perfectly weighted pass into Wood’s path. His right footed angled shot defeated Ryan’s dive and doubled Burnley’s lead. The Clarets were in control of the game, but took a strangle-hold on it with a controversial third goal. Brighton had justified claims for a penalty when in the act of clearing the ball Hendrick allowed it to strike his arm. It was a fairly clear transgression and Brighton were rightfully indignant that it was not seen by the referee. But as play progressed, Ashley Barnes broke clear and homed in on Ryan’s goal. The Brighton keeper upended Barnes and instead of facing a spot kick, Burnley were awarded one of their own in a matter of seconds later. It was an identical challenge to the one which Barnes suffered last week at home to Southampton, yet that challenge did not yield a penalty. Inconsistent refereeing is a scourge upon the game, one which urgently needs addressing. After suffering so egregiously at the hands of referees in recent matches, it is hard not to feel a sense of justification that an official’s blunder benefitted Burnley yesterday rather than hindering them. Karma, it seems, is not only a female canine, but also has the power to restore one’s sense of justice. As Barnes lined up the penalty kick, BT Sports helpfully provided us with a graphic illustrating the placement of Barnes’ previous spot kicks. The paucity of penalties awarded in Burnley’s favour is well documented and therefore provided only a minute sample size for the graphic compiler, who was able to display only a green blob in the bottom left hand corner of the goal – which is where Barnes went on to place yesterday’s effort. The game should have been done and dusted thereafter, but an unwise challenge by Ashley Westwood allowed Brighton to float a free kick into Burnley’s penalty area, whereupon Shane Duffy placed a well-directed header into the corner of Tom Heaton’s goal. But Burnley were however able to see out the remainder of the game without too many further alarms and secure a gratifying win. So the Clarets’ impressive run of results is maintained; seven games without defeat since the Boxing Day debacle against Everton. A further four such victories should see Burnley secure in the Premier League next season. 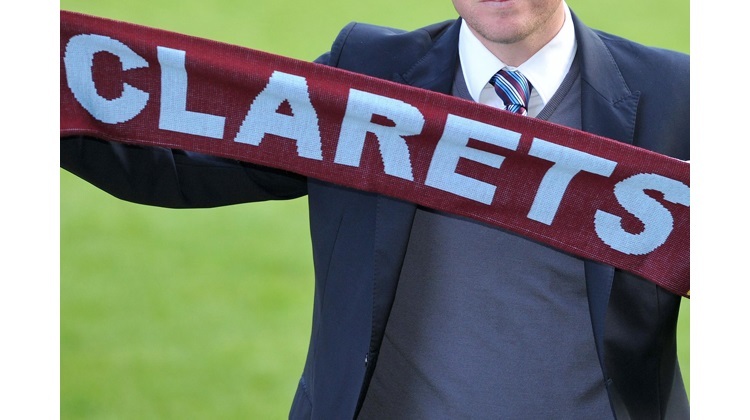 Written by Dave Thornley who contributes regularly on behalf of Clarets Mad. (TEC).